Tá Rang 4 tosaithe ar thionscnamh tíreolaíochta sa rang an tseachtain seo. 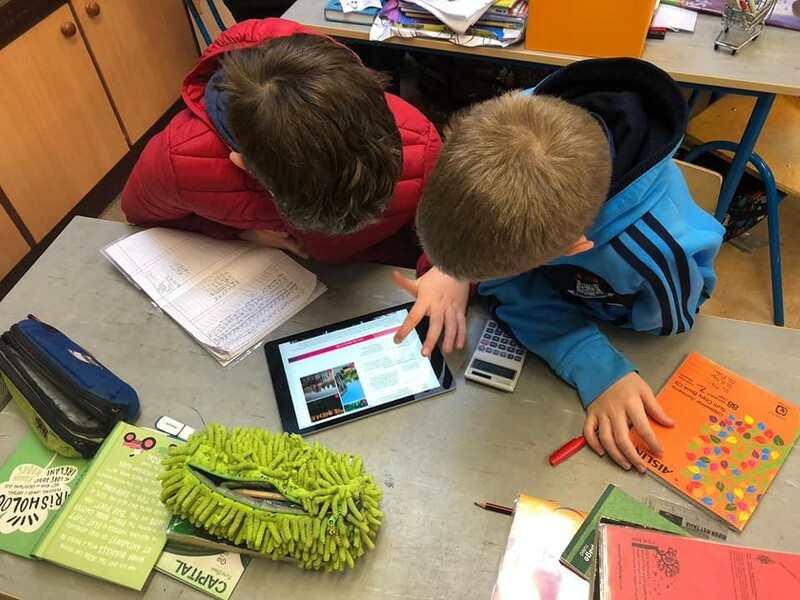 Thosaigh siad ag foghlaim chomh maith faoi conas busiéid a dhéanamh san rang ag baint úsáid as na ríomhairí agus na Ipads atá ag an scoil. Taithníonn am ar na ríomhairí go mór leis an rang. 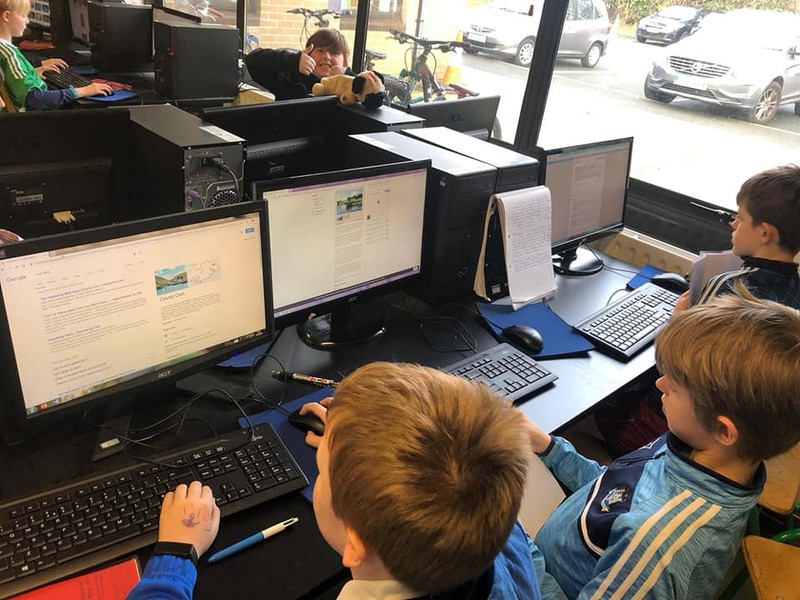 Rang 4 have started a geography project this week in the class. They have also been learning about how to do a budget using the school computers and Ipads. The class really enjoys time on the computers.